If your pet has an accident, surfaces in your home can become bleached if not treated immediately. 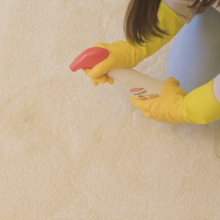 Rely on Rug Doctor to banish the nasty odours and bring your favourite carpets back to life. Pet puddles can put you in a panic. 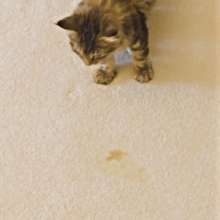 Don’t fret – use our Urine Eliminator to destroy the stain and smell overnight. It makes short work of urine crystals and other organic, acid-based stains, using powerful cleaning action to remove them at the source. 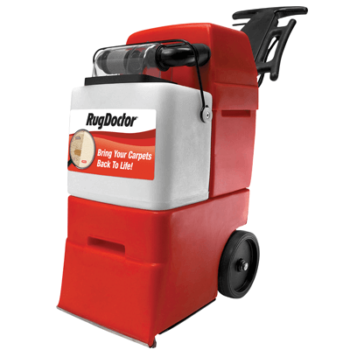 Try it around the home on carpet and upholstery, or as a pre-treatment before cleaning with a Rug Doctor machine. Begin the treatment before the stain dries, if possible. This is because urine can bleach your carpet. Put on household gloves to protect your hands, then remove solids and excess liquid from the area. Shake the bottle vigorously, then turn the nozzle to ON. Spray the Urine Eliminator onto the area thoroughly, so the area is heavily wetted. This will allow it to penetrate into the carpet backing and pad, and not leave any stain behind deeper in the pile. Do not wipe the area. 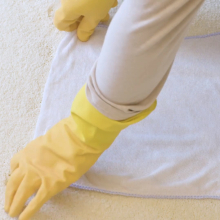 Put a damp, colour safe towel over the stain and let it stay moist overnight if possible, for maximum effect. Allow it to dry naturally and watch the product’s enzymes work their magic. Try a second application if the area is highly contaminated. Turn the nozzle to OFF and store the bottle upright. If discolouration remains after the stain has dried, dampen it with water and blot. And, your options don’t stop here. 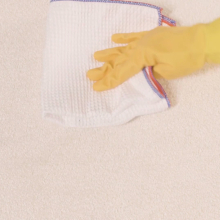 Your carpets will benefit from an extra deep clean if you’re constantly hoovering or cleaning up after your pets. The Pet Formula Carpet Detergent is the answer. 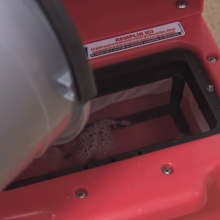 It can be used with a Rug Doctor machine to remove pet stains, even ones that are old or dried in. Pro-enzymatic technology attacks urine crystals – especially common in cat urine spots – and the oils and smells you might not notice from your pet’s favourite sleeping spots. And, it works on other stains too, like vomit and blood. Use this product everywhere in your home – on carpets, fabrics and upholstery, as well as pet beds, rugs and mattresses. It works with our Hand Tool for ease of use, so you can keep your entire house smelling fresh and odour-free. 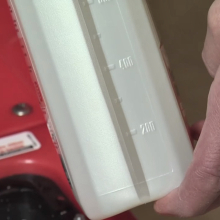 Shake the product bottle, then pour 150ml into the red tank at the machine’s base. Dilute the solution with hot water, topping it up to halfway up the mesh filter. Be careful not to make the hot water scalding. And, ensure that you use only lukewarm water if you are treating wool carpets. If you are using a Wide Track Rug Doctor machine, use 225ml of the Pet Formula Carpet Detergent. 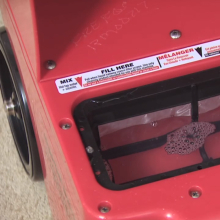 For other deep cleaning machines, we recommend 100ml of the product mixed with 6 litres of hot water. Use the machine as directed for incredible results. Make sure you clean thoroughly, especially on cat urine spots; dissolved crystals can release feline pheromones. 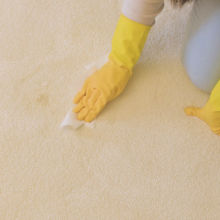 Partial cleaning can also worsen the odour, as the stain may wick up from the carpet backing and recrystallise on the surface. Does your home still not smell right? Use Rug Doctor’s Odour Remover. Try its enzymatic formula which breaks down odours at the source and destroys bacteria, rather than masking them. 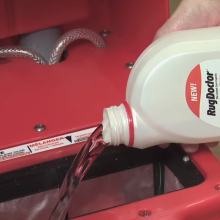 It can also be used with a Rug Doctor machine for a more thorough clean.